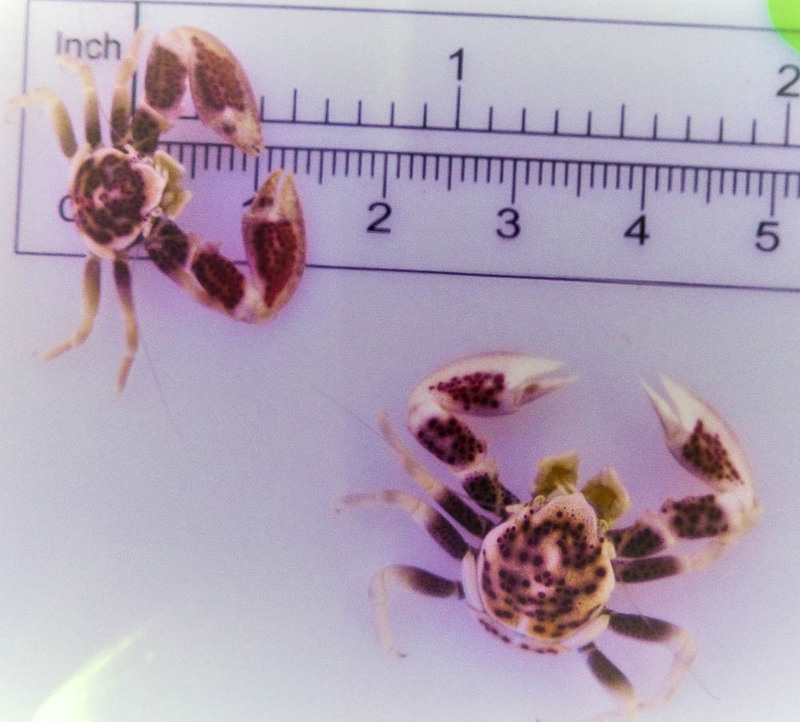 Notes: Porcelain Anemone Crabs live together in pairs under the protection of an anemone. It may attempt to defend its territory from clownfish that try to establish themselves among the anemone, although the clownfish generally prevails. It is aggressive toward conspecifics, and should not be kept with larger, aggressive crabs which may attack it. It eats planktonic food and mucus from the anemone. It may be supplemented with tablet food placed next to the anemone.